Hello, my name is Michael Roxas and I’m one of the Directors at VERSION. I graduated from UniSA in 99, with a degree in Visual Communications – Graphic Design and Illustration. 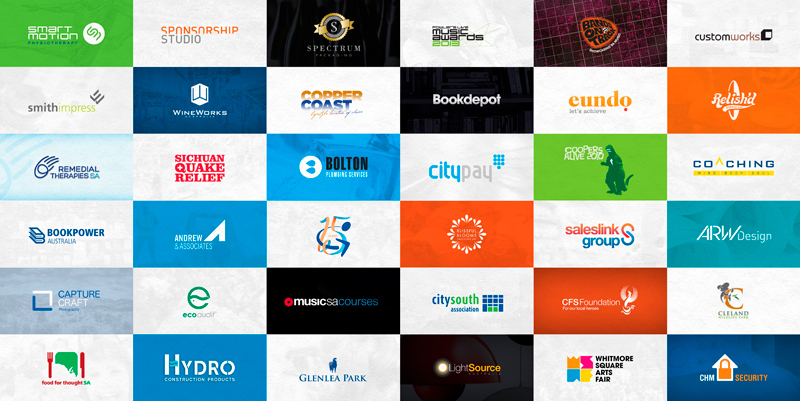 I have designed and implemented logos for businesses of varying sizes. I’ve lost count of how many logos I have created over the years, they come and go but some of the good ones are still around such as the Cleland Wildlife Park and CFS Foundation logos. During my 18+ years of dealing with business owners and marketing staff, I noted that the primary cause of ‘branding failure’ was the lack of cohesion and frequency. This may be due to time constraints, lack of staff, minimal funds and the fact that ‘design is subjective’ – all these combined tend to create a muddled representation of what their business is about. This is not only confusing internally but also puts customers off. With the lack of customer confidence in what you represent, your business tends to suffer. 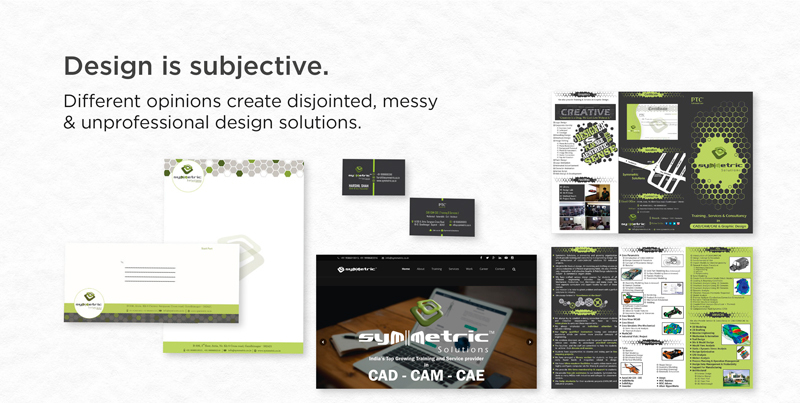 Your current opinions about design are derived from your previous experiences. Since you and the person next to you don’t have the same experiences (or internal references), then both of you are more than likely to have differing opinions about ‘a logo design or brochure layout’ presented in front of you. This disparity when left unresolved results in the loss of branding continuity across all of your customer touch-points, making your business look disjointed, messy and very unprofessional. Do you expect your customers to trust you when your competition seems to have it all together? Starting and running a new business is an exciting and busy time. There are so many things a business owner has to do and in most cases, the branding and marketing activities tend to end up on the bottom of the list. Because of this, I have come up with an ‘Overall Business Branding Model’ that decision-makers can use as a tool or reference during brand development & implementation – at the start or when looking to refresh existing brands. 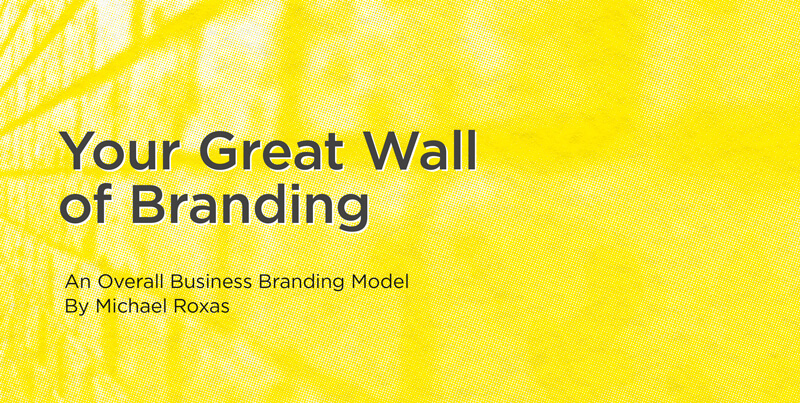 I named this model: “YOUR GREAT WALL OF BRANDING”. 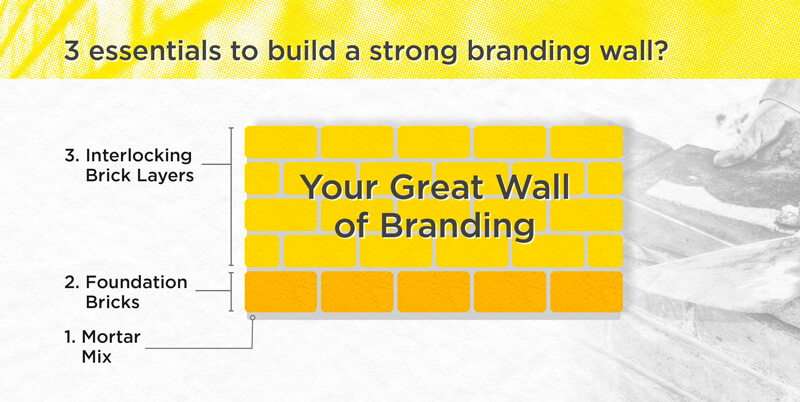 The process of building your brand is similar to laying bricks to form a solid brick wall. It needs to be well planned from the start, laid out brick by brick and checked consistently as part of the whole wall. 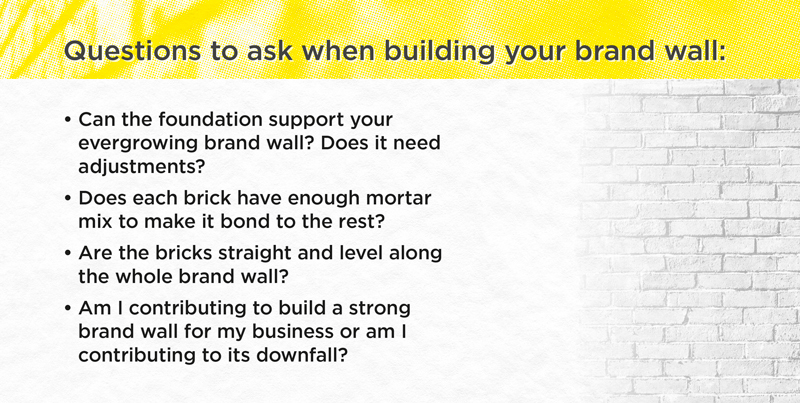 New and established businesses must consistently and frequently add to this branding wall, but must always step back to check the overall structure. Mortar Mix – surrounds and bonds each brick, the glue that keeps it all together. Foundation Bricks – represents INITIAL branding activity/items for a new business forming the base on which to build a strong branding wall. 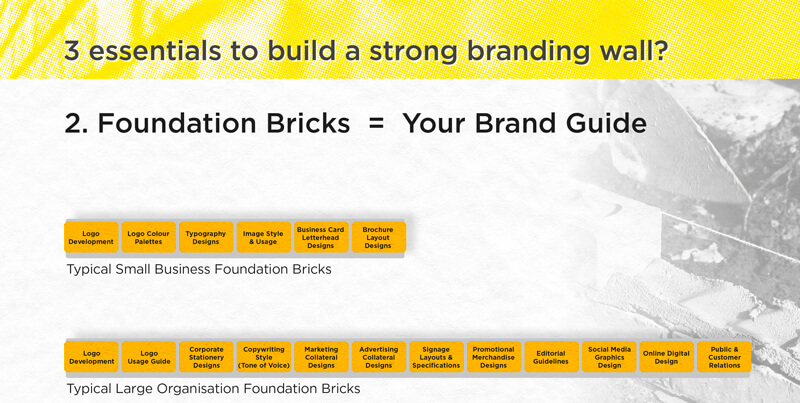 Interlocking Brick Layers – built on top of the foundation/base, made up of individual bricks of branding & marketing activities for your business. Basically, each layer can represent one year in the life of your business. With bricklaying as with your branding, initially identifying what goes into a good mortar mix (the glue that bonds everything together) will save you time and money in the long run. Putting in the right ingredients in this mix will make the bonds between your bricks strong and create a brand that will stand the test of time. Brand Guidelines need to be flexible enough for designers to be creative, but also rigid enough to keep your brand cohesively recognisable. In today’s marketing environment, consistency is the key across multiple media platforms and customer touch-points to help strengthen your brand. No matter who your ‘designer’ is, establishing your basic brand foundation is crucial to the longevity of your business. Once you have laid down a straight and even foundation, building your branding wall on top of this solid base becomes easier and quicker. Saving you time and money in the process! Each brick should equate to a branding or promotional marketing item that you undertake. Each layer of bricks can represent one year in the life of your business or company. 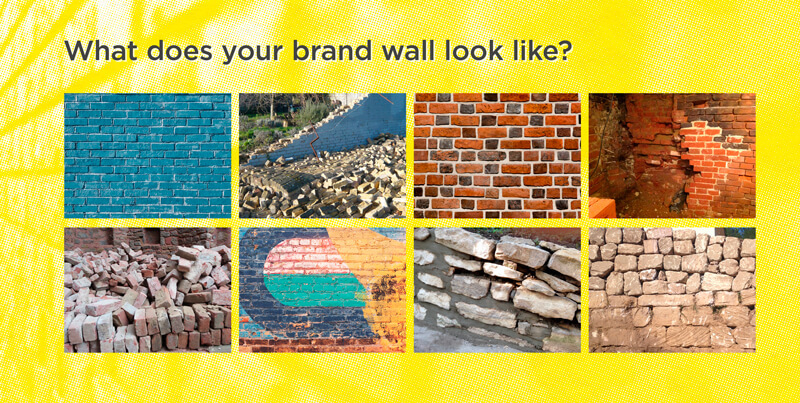 Your branding wall needs to be laid out brick by brick and layer by layer throughout the life of your business. It needs to be checked constantly to ensure cohesiveness as a whole. You can’t leave large gaps of branding inactivity as this will form holes in your branding wall and contribute to it crumbling to the ground. Frequency is the key here so that your potential and existing customers keep your business top of mind. HOW STRONG IS YOUR WALL? 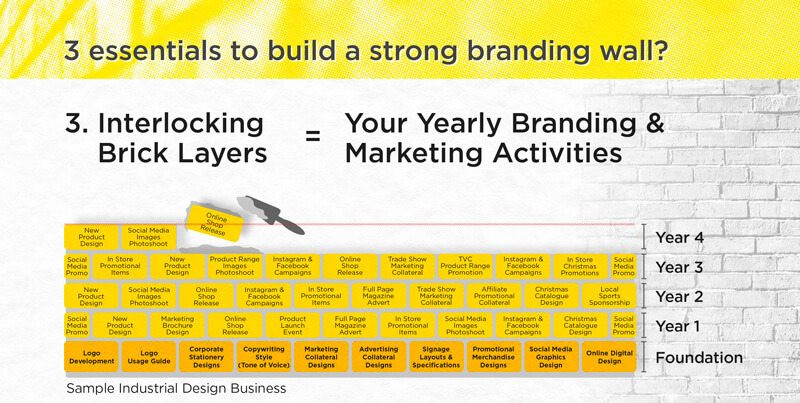 Do I need to lay more bricks (do more branding or marketing) to avoid holes in my branding wall for this year? 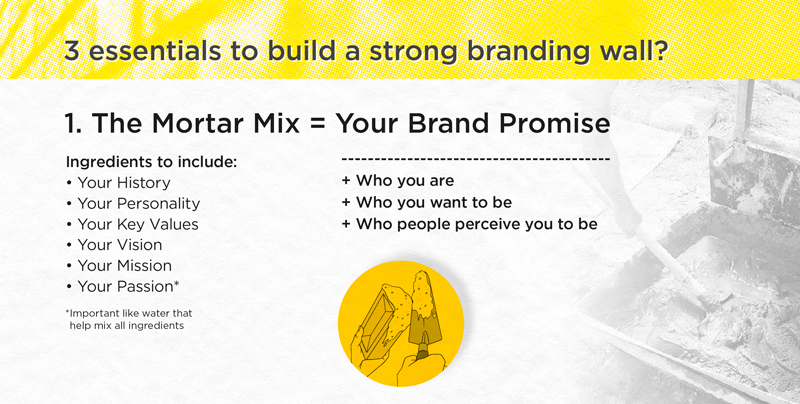 Does each brick (branding or marketing activity) have enough mortar mix (your brand promise) to make it bond to the rest? Are they laid straight and level along the wall and in-line with all previous branding and marketing activities you have done throughout the year/s? 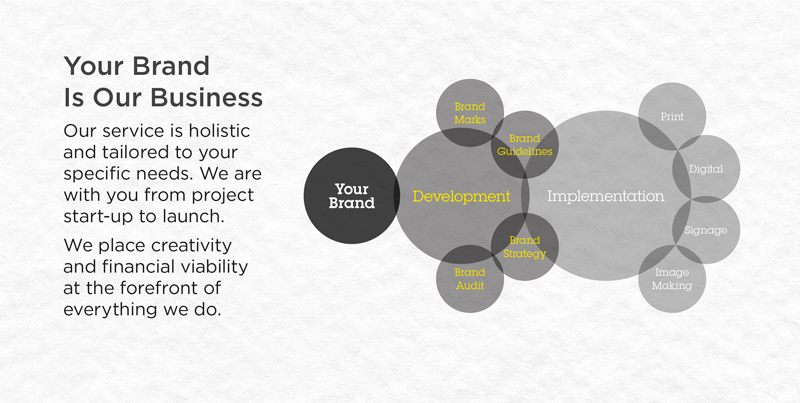 What does my business branding wall look like from the customer’s point of view? Am I contributing to building a strong Branding Wall for my business or am I contributing to its downfall? What Are Raster And Vector Images?